At ASL, we produce video projects for many different types of agencies. We thought it might be helpful to analyze agency relationships and inform you of different things you may encounter with each type of agency. The most common type of agency in corporate video production is a creative agency. We mentioned the different roles in a creative agency in our last blog. When creative agencies hires ASL Productions to produce video projects, they are typically providing us with the vision of the project. Their copywriters and art directors have created the scripts and storyboard and they are looking to our production company to bring their ideas to life. Most agency productions have a dedicated director who is hired to help make the creative directors visions go from print to video. And with those directors come full production crews and often lots of additional hands to make your day an effective one. Projects that come through creative agencies tend to have higher budgets, but with that comes a demand for the utmost level of service. Let’s further break down some aspects you’ll likely encounter on creative agency productions. There’s a good chance that there’ll be an agency/client “video village” on set. That way, agency creative directors can see what’s being filmed without being on top of the director at all times. In addition, there is often a producer facilitating communication between the creative team and the director. This producer is key for reporting back to the agency what is being filmed, what the status of the day’s schedule is, while also ensuring the director is queued into the agency’s feedback. With the video director, it’s important to decipher what is pertinent information and delivering that information at the right time—hence, not right in the middle of a take. Consistently checking in with the client and agency to make sure they are satisfied is greatly appreciated when working on agency shoots. Do: Keep all your personnel busy and productive. If a person such as a gaffer who has lit a scene has nothing to do, it may be best to keep them out of site until they are needed again. Do: Hire a great caterer. This can go a long way to having a productive, well fed day with the agency. Don’t forget to think of all dietary restrictions and have veggie/vegan options for everyone as well! DON’T: Push your ideas over the creative’s. On shoots with a creative director present, they expect to have the final creative input on their video projects. If you are constantly pushing your creative suggestions against their vision it’ll frustrate them and reflect poorly on your production style. 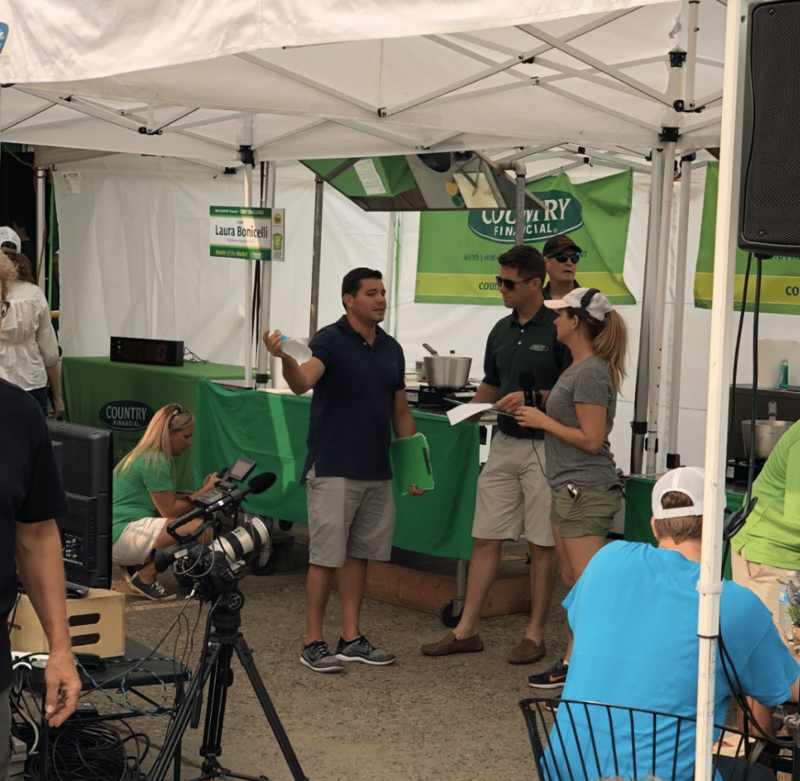 While PR agencies are developing larger creative departments within their agencies, our work with public relations firms still tends to be either event video coverage or video interview focused. Several jobs we’ve worked on in the past include: building a reel for the opening of One World Trade Center, documenting the events taking place around the NY/NJ Super Bowl; and most recently, filming the grand openings of Monmouth Park and Oceans Casino in Atlantic City: the first legal sports books in New Jersey. Many times our PR shoots have involved covering celebrities, such as Mariah Carey, who performed at the World Trade Center opening. It’s especially important that we have a video crew that knows how to act professionally under the circumstances. With the Branded Content field growing, many PR companies are hopping in to provide broader services for their clients. This has given us opportunities to produce video projects for Tums and Degree that have been posted to Twitter and Instagram. These types of productions ought to be treated in the same manner as traditional creative agency pieces. Oftentimes, the creative directors on the PR side will need a little more hand holding, and will give your director more latitude to achieve their vision. 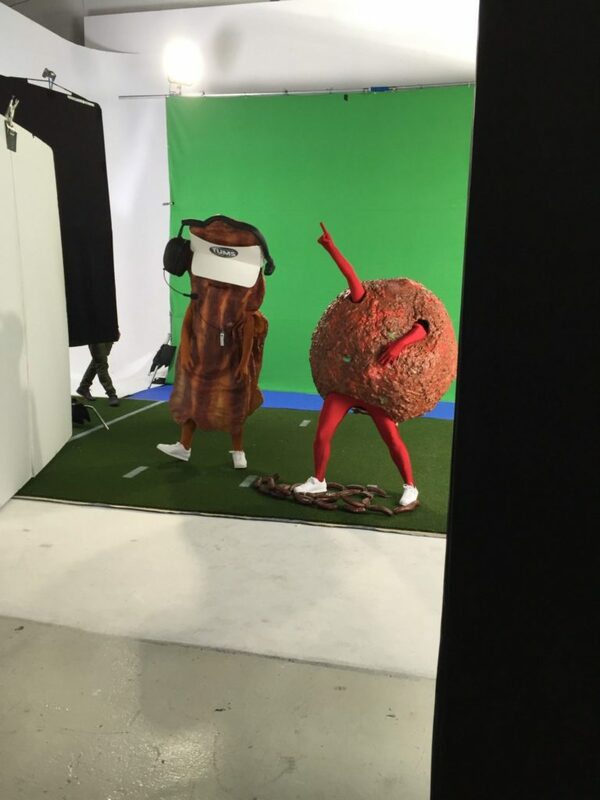 For our ‘Tums Super Bowl’ production, the creative directors knew they wanted a sloppy messy obstacle course for contestants to navigate, but they gave us the scope to determine how those items came together and were created. DO: Be mindful of tone and language. PR by nature is a sensitive field dealing with current issues and public figures. It’s crucial as a video production company to be especially accurate in striking the right tone. DON’T: Ask for pictures or an autograph with their clients. It is very important to them, not just that your crew gets great footage and does the job well, but also that they know how to behave and won’t act like fanboys/girls around their higher profile clients. More and more we are encountering leads from digital agencies seeking video production help. Digital agencies typically build websites, as well as assist and manage search engine marketing initiatives and interactive projects. What the digital agency brings to the table is a deftness in navigating the world of digital content. When a lead comes through a digital agency, that is often a chance for our internal creative personnel to get involved and help craft a story that will meet the businesses goals. Videos through digital agencies may have smaller budgets, but they also may be more frequent in quantity.You may receive more support and direction from a creative shop video, but there’s a greater opportunity for your own creative freedom when a video comes through a digital agency. Our resourcefulness can be a huge asset when partnering with digital agencies on video projects. We can use our diverse network to find cost effective solutions across all different types of industries. So when we get a lead from a digital agency for a manufacturing company or a small accounting firm, ASL can fit the clients’ parameters, making the digital agency look great to their client in the process. DO: Make sure all agency personnel have printed copies of your schedule and shot-list. These are key to showing them they made a smart hire in putting their trust in you as the production company. DO: Make sure whatever format you deliver the video in will be compatible for any type of platform. DON’T: Have crew members standing around on their phones. Agencies will see this and think of wasted dollars, even if that person had been on set for hours previously rigging lights to the ceiling. So, why do we like working with agencies? We find that working with agencies challenges us challenges us to make better videos. 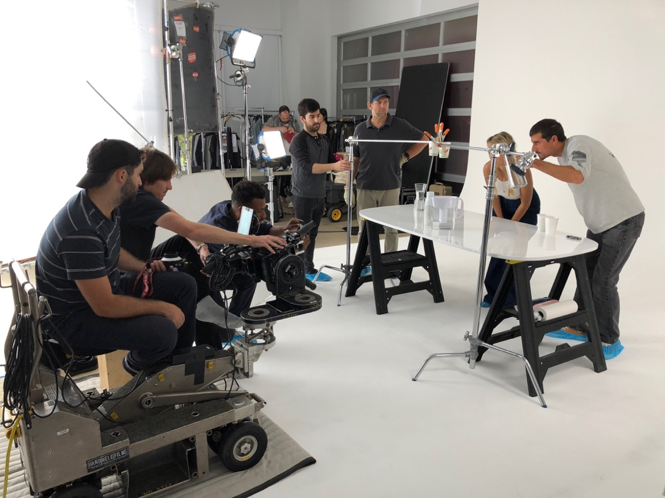 Collaboration is contagious, and when we’re given opportunities to work with some of the most creative, ambitious, and driven people in the industry, we push ourselves to make a video that will knock the client off their feet. With each agency video project, we get to collaborate with people who genuinely want to create something that hasn’t been done before and pushes the boundaries of the ad landscape. On our behalf, we’re proud of our experience and thrive on delivering our undivided attention no matter how big or small the project is. Relationships with companies and agencies alike have shaped our understanding of collaboration and given us opportunities that have continuously kept us on our toes pushing towards new territories.